For the developing world, living space is such premium individuals spend a whopping amount of money for residing in quarters, which is smaller, compared to a few prison cells. Facing this problem, we need immediate solutions for the urban poor. 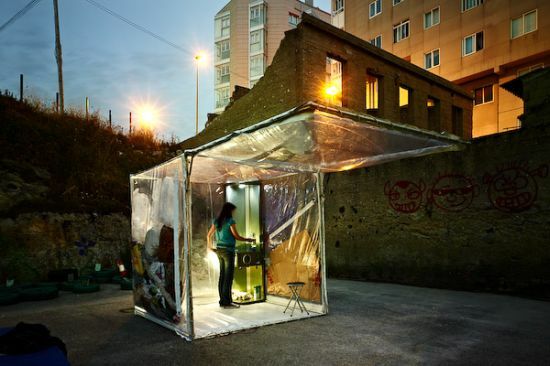 Since space is the major issue, providing narrow housing for the homeless might be a possible solution to the problem. 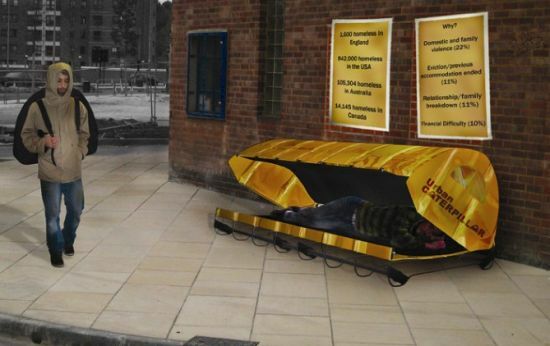 Companies like Urban Caterpillar are indeed working towards making things better for the homeless and the poor. Homelessness is a global problem, and the statics show that nearly 500 million people worldwide are deprived of adequate housing. Catering to the need, designer Abby Brazier brings an emergency assistance to house the people who are urban nomads, or victims of natural calamities. 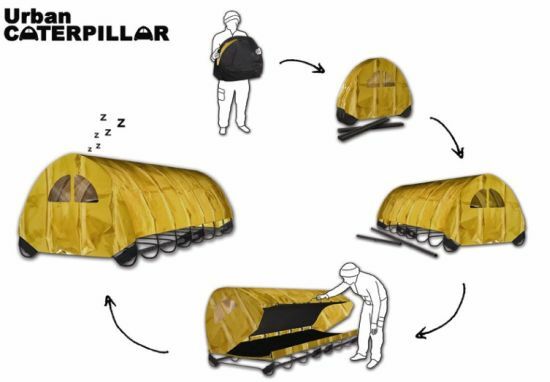 Credited as “Urban Caterpillar,” it is an instant shelter for homeless people that keeps out the cold, wind and rain. The shelter builds up instantly, letting people to help themselves. It lifts the rough sleepers from the cold, rough ground and keeps the small house warm, and also safeguards it against bad weather. Smaller living may be the upcoming trend, yet it’s not a novel idea definitely. Clubbed amid two neighbours of normal size, this Little House is indeed the smallest abode in Toronto. Stretching to only 312 square feet space, this house is an adjacent favourite stopping traffic time to time. 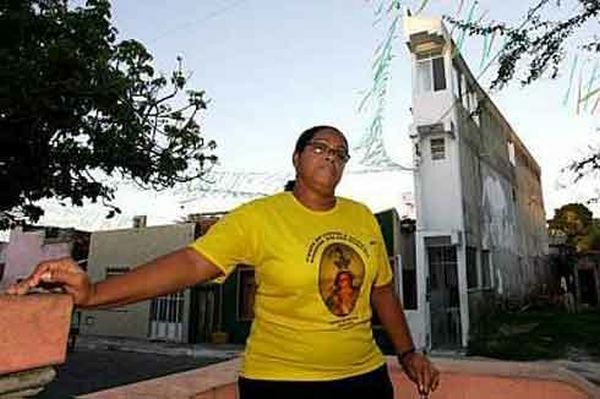 Brazilian Heneita Minho having no such formal architectural training designed this house and till date is living here, which most people recognize as the world’s narrowest house. 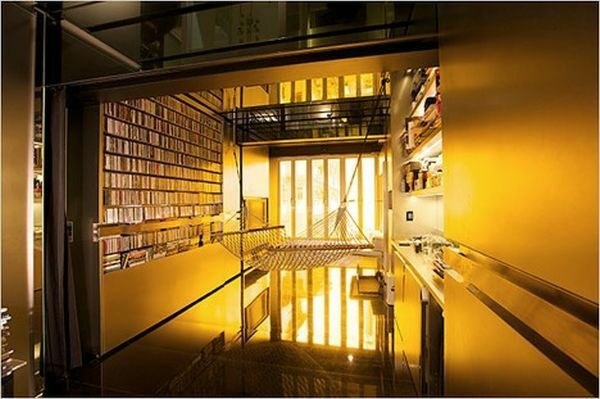 This three-story house is 10 meters tall and one meter wide and is so thin that Minho cannot extend her arms fully when she walks past the front door. Regardless of its radical appearance, this building is indeed a completely functioning home having two living rooms, three bedrooms, a kitchen, a veranda and washrooms. Living in Hong Kong may be hostile and cramped and who knows this better than Gary Chang. No wonder, he converted his one-room tiny apartment into an eco-friendly, innovative space that can be transformed into 24 varied configurations. Besides, spatial flexibility is attained via the manifold operations of innovative partitions. Designed by Jay Shafer, the world’s smallest house is affectionately named Tumbleweed. 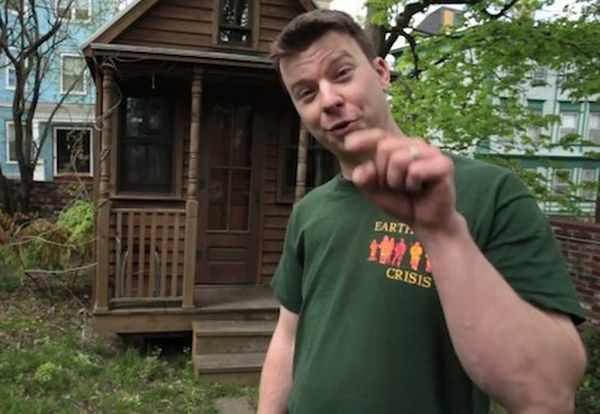 The decision to stay in this tiny 96 square feet house began from his concerns regarding the environmental impact of sole individual residing in larger houses. The entire house of Shafer is smaller than a bathroom yet is wired for electricity that is powered via solar electric system along with an inverter or an AC plug. Besides, this house also has propane room heater, hot water heater on-demand, a bar sink, under-counter refrigerator and two-burner stove. Initially developed for urban poor, capsule apartments have become a good alternative, especially for the singles in China who are desperate for budget-friendly urban housing, these days. This house is barely bigger than a closet; offers space of two square meters, has chain-link ceilings and coats about 230 Yuan per month. The concept of temporary housing dubbed “Bubble” has been intelligently developed by MMAs students of architecture, Patricia Muniz and G. Luciano Alfaya, who teamed up with architect and artist Chas Cyprian. To fulfill the unmet need of a non-permanent housing for the modern and highly mobile oriented population, a prototype of this modular house has been designed efficiently. This compact and flexible house can be transported like a suitcase and can be constructed easily without requiring much strength, and it also overcomes the basic problems of the contemporary tent facility. The creation allows nomadic freaks a comfortable housing kit for a two-day stay, offering a separate accessory kit to meet the requirements for a longer stay. The Bubble stretches 2 X 2 X 2 meters with a uniform height, offering enough room for a small kitchen, laundry and lighting. The sound, simple and strong construction of the house incorporates an aluminum structured floor with plastic-coated walls and roof, providing insulation from the severe thermal conditions and also provides the needed privacy. The walls also functions as a closet to store clothing, cardboard, air, water and other materials. The house also conforms to eco-friendliness, as it makes ingenious use of waste material. This innovative creation allows you hygienic and comfortable home living when on the move. 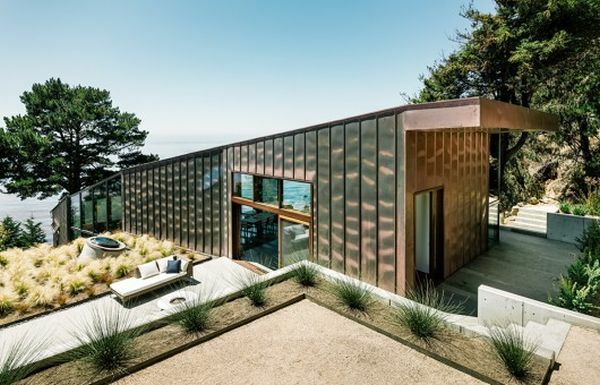 Fourgeron Architecture is a reputed firm, which has built their small home Fall House near the coastline of California. You can visit it by traveling to the Big Sur. The sustainable award winning home has three bedrooms. It offers an amazing sea view to the residents. The architects of Fourgeron Architecture firm have used sustainable materials to build the house for making it eco-friendly. It has a green roof and some advanced techniques have been used for making this house energy efficient. The aim of the architects was to utilize the available resources in the most efficient manner and build the home using less space. Johnsen Schmaling Architects are a group of talented artists with degrees in architecture who love to design and build small homes with unique designs. They have received many prestigious awards by designing neat and small mountain homes, which provide all sorts of modern amenities to the dwellers. 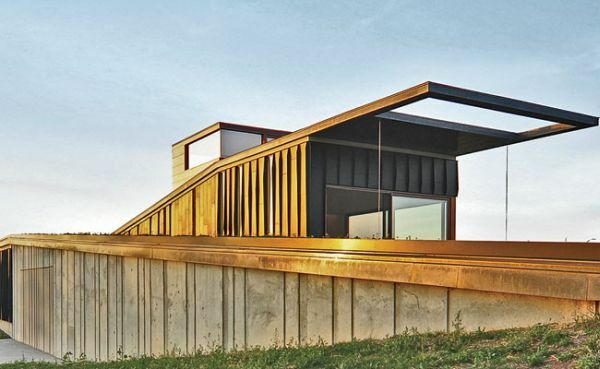 Their newest creation the Topo house, located at Blue Mounds in Wisconsin, has the AIA Award for 2014. People who love cabin houses will love its luxurious yet simple design. The Johnsen Schmaling Architects have built it in such a way that it seems to be a part of the nature itself. Another unique small home designed and built by the Fourgeron Architecture is the Flip House. Built in a busy city, this is a perfect small dwelling for the urban citizens. The architects have used innovative designs to make this house suitable for the hilly regions where the landscape is irregular. 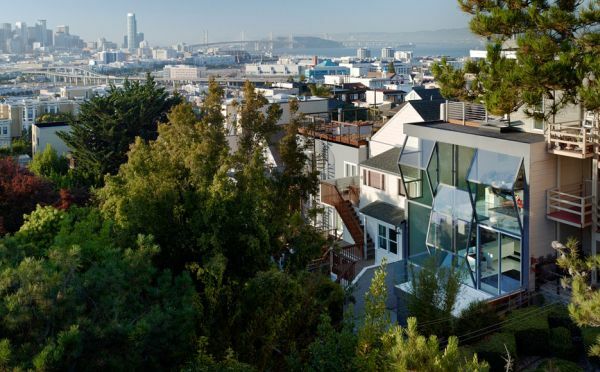 The glass façade of this house offers amazing views of the city landscape.